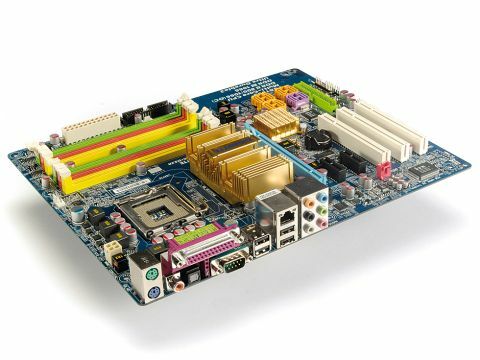 This is one of the very first boards based on Intel's new mid-range chipset. But is it up to snuff? It delivers more future-proofing than any other Intel mobo on the market. At least until other P35 boards roll up. There's full support for those upcoming 1,333MHz bus chips as well as sockets for both DDR2 and DDR3 system memory (though only two slots available for the latter). Performance-wise, it's a dead ringer for the soon-to-be-demoted 965 chipset at stock clockspeeds using existing processors and memory. However, where it really shines is overclocking headroom. No doubt aided by the higher stock bus speed support, it cruises straight past the 500MHz barrier on its way to no less than 540MHz. Nice.